The WD 1TB Portable External Hard Drive is our best external hard drive which uses AES hardware encryption that is 256-bit as an optional feature. It also runs on most NTFS systems such as Windows 7, Windows 8, Windows Vista and the like. The hard drive is currently available in various grip shades and styles as well as casing colors. In fact, you can store a ton of items here such as photos, videos, music and other files. This hard drive has a capacity of 1 terabyte but also available in other sizes from 500 GB to 4 TB. It also has a slim yet powerful design. In fact, you can also make the use of a Dropbox backup for this external hard drive. Our step-up pick is the Seagate Expansion 5TB External Hard Drive and this external hard drive runs on any USB 3.0 port. It is very ideal for Windows 7 and above. As for the interface, it uses SuperSpeed USB 3.0 technology for the fastest file transfers, especially for larger files and folders. It is also compatible with USB 2.0 and it has a total capacity of 5 terabytes. Conveniently, it comes with a power adapter. The hard drive uses a power supply along with the USB port, since it is a large external hard drive. The budget pick is the Seagate Expansion 1TB External Hard Drive and this external hard drive also uses SuperSpeed USB 3.0 port and also supports lower technology such as USB 2.0. it is highly applicable for use on Windows 7, Windows 8 and above and it has a total capacity of 1 terabyte. The external hard drive is also available in other sizes up to 4 terabytes. In fact, you can also use it for the Xbox one as well as the PS4. With this hard drive, you can get up to 16,660 hours of music, 320,000 pictures, and 1,000 hours of video or 250 DVD films at 2 hours each. Also, this budget option is USB-powered unlike our step-up pick so it is less hassling to set up. An external hard drive is like a hard drive that sits on your CPU but outside of it. External hard drives are what they are – they are meant to be like a giant USB flash drive the can store larger files such as movies, music, programs and the like. If you are a frequent media person or often keep a lot of big resources such as video clips, audio recordings and the like, you will need a bigger storage than your built-in internal hard drive. External hard drives are meant to be like a backup in case something bad happens to your computer, whether it is a desktop computer, a laptop, a notebook or anything else. External hard drives have the advantage of keeping important files out of the way from system failure. The biggest advantage of an external hard drive is that your likelihood of your files getting infected with a virus is slim because when the internal hard drive fails and gets reformatted, you still have a back-up on your external hard drive. Viruses and system failures are sometimes unexpected and it can be very frustrating if your system suddenly fails you and this is why you need to have a backup in your system such as using the hard drive externally so you can back-up everything that you absolutely need in your work or hobby. In this way, you can be rid of frustrations later on and you will be prepared for the vey worst. If you have portable programs and big files, you can put them into your external hard drive. Portable programs are those software types that will work even without having to install them to your system and your internal drive and in this way; you do not have to worry about getting your system reformatted because the standalone application will still be there despite the shortcomings that will happen to your portable program. In this way, you can definitely feel safe and secured with your files. External hard drives usually connect through a USB port. A USB port or universal serial bus is an external output and input plug socket that powers up most computer hardware. Most external hard drives are powered up like this and this makes them very convenient to use for your everyday life and work as well. If you have shortage on USB drive ports, however, you can always settle for a multi USB adapter multiplier or that you can have more room for your external hard drive and files. Hard drives can be internal or external, and external hard drives have their own benefits. Internal hard drives are more prone to viruses and system failures whereas external hard drives are less prone to such dangers and this makes them the most ideal backup for your system. If you have very important file in your system and you do not want to lose them then you should definitely seek the help of an external hard drive to keep your files safe and sound from any danger that might make your system be compromised. Storage capacity – this is mainly the only thing that sets various hard drives apart. This refers to the amount of storage it can take – the total amount or size of files, folders and programs you can put in the hard drive. The storage capacity of the hard drive is very important to consider because of the fact that it is able to make more room for your files in general. Standalone or USB-powered – keep in mind that most hard drives that are external may require an external power source. This is much true for external hard drives that are larger in size. 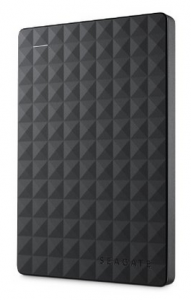 An example of this would be the terabyte sized external hard drives. Older hard drives that were formally internal and converted to external hard drives may also require external power, but most new and lighter external hard drives are just powered using the USB port. Our best external hard drive is the WD 1TB Portable External Hard Drive which is available in various grip shades and styles as well as casing colors. The hard drive has a capacity of 1 terabyte but also available in other sizes from 500 GB to 4 TB. As for compatibility, it efficiently runs on most NTFS systems such as Windows 7, Windows 8, Windows Vista and the like. However, Mac users may need to format it first before getting recognized by the Mac OS X, which is normal for most hard drives. As for the interface, it uses the connection of any USB 3.0 port. The WD 1TB Hard Drive also uses AES hardware encryption that is 256-bit as an optional feature. In addition, it also allows you to backup on your local storage and cloud storage. With this external hard drive, you can store a ton of items here such as photos, videos, music and other files. In fact, you can also make the use of a Dropbox backup for this external hard drive for backup purposes. The external hard drive by WD also includes backup software so it automatically backs up everything you need to backup to keep your files safe. In addition, the hardware encryption allows you to lock and unlock your external hard drive for safety and security. Moreover, you can also use this with the Xbox one. As for the looks, the WD 1TB Portable Drive has a slim yet powerful design. It is currently backed by a warranty of 3 years. 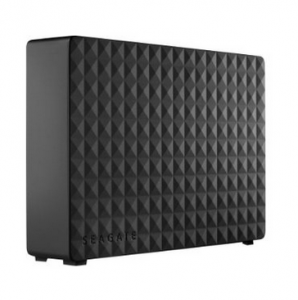 The Seagate Expansion 5TB External Hard Drive is our step-up pick and it efficiently runs on any USB 3.0 port. As for the size, it has a total capacity of 5 terabytes. In addition, it can save files for Windows using drag and drop mechanism. However, it also requires formatting for use on Mac computers. The unit is also available in other sizes, from 2 terabytes up to 8 terabytes. As for the reliability, it uses SuperSpeed USB 3.0 technology for the fastest file transfers, especially for larger files and folders. Moreover, it is also compatible with USB 2.0. The USB cable measures 4 feet in length. This frustration free external hard drive is a great plug and play external hard drive that does not require any additional software to install. Moreover, it uses a power supply along with the USB port, since it is a large external hard drive. Additionally, the Seagate Expansion 5TB comes with a power adapter and is super ideal for Windows 7 and above. Moreover, it also comes with a quick start guide for easy setup. Our budget pick is the Seagate Expansion 1TB External Hard Drive which has a total capacity of 1 terabyte, like our top pick. it is also available in other sizes up to 4 terabytes and is highly applicable for use on Windows 7, Windows 8 and above. It uses SuperSpeed USB 3.0 port and also supports lower technology such as USB 2.0 as an interface. This budget option is USB-powered unlike our step-up pick so it is less hassling to set up. With this external hard drive, you can get up to 16,660 hours of music, 320,000 pictures, and 1,000 hours of video or 250 DVD films at 2 hours each. It is a great plug and play external hard drive and you can also use it for the Xbox one as well as the PS4. Moreover, the hard drive can work for the Mac OSX provided that you reformat it first. In addition, it uses a convenient drag and drop interface for saving files and it also uses a standard NTFS technology for its file system. The Seagate Expansion 1TB comes with a user’s manual and the USB 3.0 cable which spans up to 18 inches and is currently backed by a warranty of 2 years. Mac users need not worry because we have the best external hard drive for them: the Seagate Backup-Plus 1TB External Hard Drive. It has a total capacity of 1 terabyte and is available in other sizes from 500 gigabytes up to 4 terabytes. In fact, you can register on Seagate’s website for an additional 200 GB free cloud storage for your OneDrive account up to 2 years. The unit is powered by USB so it does not require a power supply and it also uses the Lyve App to automatically sync photos and videos from your mobile device. It also uses the Seagate Dashboard software so you can choose your backup plans and schedule them and it uses the most up-to-date USB 3.0 interface for a faster file transfer system. Highly ideal external hard drive for Mac users, the Seagate Backup-Plus Drive is super slim and portable that you can take it anywhere with its thin form when it comes to the design. For compatibility, it is also highly compatible with the Time Machine so you can easily set it up to back up your files at your convenience. Additionally, as a unique feature, it can also back up files from YouTube, Flickr and Facebook using the Seagate Dashboard software. This external hard drive has a data transfer rate of up to 120 MB per second so it transfers files really fast. Moreover, it also has a driver for download available for any Windows PC. As an external hard drive, it can also work with USB 2.0 systems and it comes with the needed USB 3.0 cable. Backed by a warranty of 2 years from the date of purchase, the Seagate Backup-Plus Drive is a great Mac drive to consider. The WD 4TB Desktop External Hard Drive is our best desktop external hard drive which has a total capacity of 4 terabytes. This is a single drive external hard drive but is also available in a larger dual drive system. You can easily back up your files using the WD backup software and scheduling backups. It is available on other capacities such as 2 terabytes and all the way up to 16 terabytes. The hard drive uses the most up-to-date USB 3.0 technology for data transfer at a very fast pace. Moreover, it is also compatible with Windows 8 and Windows 10’s File History feature. Adding to that, you can also put up a password and keep the top secret files hidden from intruders using its hardware encryption feature. In addition to that, you can also optionally download the Acronis True Image software to backup your system more efficiently and effectively. What’s more, the WD 4TB Hard Drive is applicable for a Dropbox cloud service and is ready to use for any PC. Surprisingly, the hard drive can also be used for the Xbox one as well as the Time Machine. Adding to that, the external hard drive is also compatible with USB 2.0 devices. Your security is not compromise due to the fact that the unit uses AES hardware encryption at 256-bit for extra protection and file access speed. It can effectively back up your system on a cloud automatically with a few settings done. The external hard drive is backed by a warranty of 3 years. For those who want a shockproof military grade external hard drive, we recommend the Transcend 1TB StoreJet External Hard Drive which has a total capacity of 1 terabyte. It is also available in 2 terabytes of capacity and is available in a sleek black or a bubbly blue color for the casing. It greatly complies with USB 3.0 using SuperSpeed technology to effectively transfer and back up your needed files on the go and is also compatible with lower interfaces such as the USB 2.0 as an interface. When it comes to power and design, this rugged external hard drive has been tried and drop tested, making it a true military-grade external hard drive to consider. In fact, it is highly perfect for backing up important data while on an unsettling environment such as the wilderness. It is highly shock-resistant so it can survive any hit on the ground and it comes with data management software so you can effectively backup data when needed. Moreover, you can also protect your files using the AES file and folder encryption at 256-bit. It also has a very easy auto-backup button function so you can backup without worry and hassle and has a quick reconnect button that safely removes your hard drive easily with no need to unplug and reinsert. The unit has a rotational speed of 5,400 RPM for the hard drive and the suspension system of the internal hard drive is very advanced. For protection, the outer case is made from anti-shock and durable rubber material. Also, this rugged external hard drive is thoroughly protected with a highly advanced three-stage shock protection system so it is definitely for rugged use. Moreover, you can also order this in frustration-free packaging. 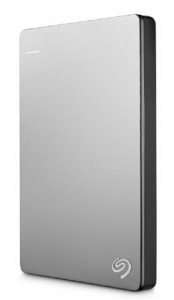 Additional features include the fact that it has an LED light that indicates data transfer activity and power status. Moreover, the lightweight design of this external hard drive makes it great to carry around for trips and other outdoor expenditures. 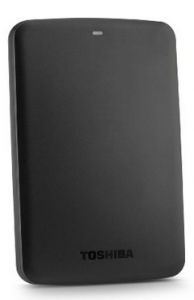 This external hard drive has an outer shell that has been made from silicone material that is resistant to slipping. A suspension damper within its internal hard drive makes it sturdy while the hard casing that has been reinforced makes it highly durable as well. Highly compatible with most Windows and Mac OS systems as well as Linux systems, the Transcend 1TB StoreJet comes with a USB 3.0 cable, a warranty card and a quick start guide. The 1 terabyte external hard drive can store up to 488,000 photos, 244,000 songs and store up to 440 hours of DVD videos. Transcend is also a leader when it comes to portable storage devices (USB flash drives) so you are assured that it is a name you can trust when it comes down to quality of products and computer hardware. The drive is backed by a warranty of 2 years. The Toshiba Canvio Basics 1TB Portable Hard-Drive has a capacity of 1 terabyte and a storage pouch is also available. It comes in three shades for the casing and is also available in 500 GB, 2 TB and 3 TB sizes. The external hard drive has a cache buffer of 8 MB and has a transfer rate of up to 5 GB per second. It has an average seek time of 12 milliseconds and is great for storing large digital files. Moreover, it has a compact design that is resistant to smudging and it has a rotational speed of 5,400 RPM. Specifically made for the Xbox One and Xbox 360, the Seagate 2TB Game Drive for Xbox is an ideal gaming hard drive which has a capacity of 2 terabytes which can store up to 50 games on the Xbox One (with the average game size being 35 to 50 GB). It is very compact in its design so you can take it anywhere over to your friend’s house or sitting on your room stylishly. 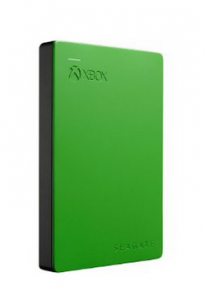 The external hard drive works flawlessly with plug and play so setting up is hassle-free while the green color scheme adds visual appeal to the external hard drive, as well as the engraved Xbox logo. It uses USB 3.0 technology for faster data transfer and is also compatible with the USB 2.0 on the Xbox 360. It does not require any power cable because it is USB powered and it can be easily kept inside a backpack. Backed by a warranty of 2 years, it can also be used for any laptop or computer. It is a great way to free up your Xbox’s internal memory by storing a ton of games on your external hard drive. The Silicon Power 1TB Military-Grade Portable Drive has a capacity of 1 terabyte and is also available in 500 gigabytes and 2 terabytes. It is shockproof to the standards of MIL-STD 810G of the US Military standards so even if you drop it, the unit won’t break and it measures 2.5 inches. it is water-resistant so you can take it to the most rigorous situations and it supports USB 3.0 for faster transfer rates. It has a cable management design so that your USB cable stays in place and you won’t lose it. Moreover, it can be used for Windows and Mac so you can efficiently share files. It has a bandwidth of 5 GB per second due to its USB 3.0 interface, which is 10 times faster than any USB 2.0 interface so you can share files faster. It is also compatible with USB 2.0 and it can also work for the Xbox 360 and Xbox One. For additional features, the Silicon Power 1TB Drive has an LED indicator for power and transfer status and it uses a suspension system on its internal hard drive. Moreover, the surface has a nonslip design that is also resistant to scratching. It does not need any other external adapter due to being a plug and play unit. It went through and passed the 122 cm height fall test on the Meth.516.6 Procedure. This hard drive comes with a free software download for backing up data and files. It has a waterproof rating of IPX4 and is great external hard drive for the great outdoors. It is backed by a manufacturer’s warranty of 3 years. 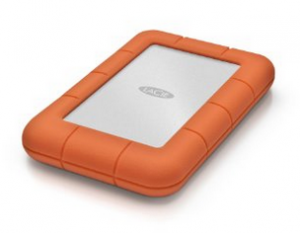 The LaCie Rugged Mini 1TB External Drive has a total space of 1 terabyte and is also available in 500 GB up to 4 TB of space. This mini external hard drive can be dropped up to 4 feet of distance and has awesome shock-resistant capabilities. A great mini external hard drive for compact storage on the go while traveling on the great outdoors or while camping, it can also be used for Mac users, provided that it is reformatted before using. The hard drive supports both USB 3.0 and USB 2.0 interfaces and it has an automatic eco mode so it saves battery when not in use, which is a great feature for those who use a laptop or a notebook. The Private Public software protects your files with a password encryption method. The hard drive has an automatic backup feature due to the user-friendly software suite included and also, it is USB powered so you do not need any external power supply. The USB 3.0 interface allows for faster file transfers. In fact, when you transfer a 700 MB video, the USB 3.0 transfers it in less than 7 seconds compared to the USB 2.0 with only 25 seconds. The hard drive also has a built-in password protection for the privacy and security of your files. It is shock resistant and rain resistant as well and it can also take 1 ton of pressure and still work. Other external hard drives were not too much when it comes to space allowance and backup plans. It is important for an external hard drive to keep your files very safe from harm and give you a fast data transfer rate. Q: What are the many benefits of using an external hard drive? A: According to Steve’s Digicams , the large capacity of an external hard drive is what makes it ideal for large storage and back up. The capacity of hard drives usually runs at about 1 terabyte or 1,000 gigabytes. The high speed of the data transfer of external hard drives makes them awesome due to the high RPM speeds. In fact, most external hard drives already use USB 3.0 as the interface for faster data transfer. External hard drives are highly portable to carry your important files. Most of them can also be shock proof and water resistant. You also get extra space on your computer if your internal memory is running out. External hard drives are also very easy to use and maintain, just like a USB flash drive but with a larger capacity. If you have an internal hard drive of a broken PC or laptop, you can purchase a casing and have it converted to an external hard drive to save money. Q: What are some of the best tips to do with an external hard drive? A: According to Lifehacker , use the external hard drive to back up your computer’s system and contents with the use of programs such as SyncBack, Time Machine and Mozy. You can also use an old hard drive from your old PC or laptop and have it converted to an external hard drive with the help of an enclosure you can purchase elsewhere. You can also clone your hard drive to back up existing data. You can also use the external hard drive as a scratch disk so that your internal drive will not suffer from memory loss and pressure, especially if you use Sony Vegas Pro and other video editing software that eats up a lot of memory and disk space. Finally, you can also use the external hard drive to store not just music from iTunes but also games on your Wii and Xbox One and Xbox 360. Summarizing, the WD 1TB Portable External Hard Drive is our best external hard drive whether you want to use it for your PC, Mac or Xbox One or anything else.